Towards the end of December 2008, Vice-President Tour Planning and Partnerships at Cirque du Soleil (CdS) is briefed by the director of partnership management about a proposal from potential Turkish promoters (Turkish Television and Entertainment Society and Ministry of Culture and Tourism of Turkey, in partnership with the City of Istanbul) to set up a show in Turkey. Given the fact that Cirque du Soleil had been proficiently capitalizing on its strengths to tour different countries around the world, Turkey sounded great but the location has to be analyzed based on different dimensions before a final decision is made. This paper would address the decision making framework by examining the rationales from the perspective of the decision maker – the VP. Cirque Du Soleil has been a global leader in performing arts industry. It is based in Montreal, Canada and has been privately held since its inception. In 2008, Guy Laliberté – the founder of the company sold a 20 percent share of the company to Dubai based partners. Cirque has been able to capture the audience attention through its unique acrobatic tasks. The notable growth at the same time remaining private is very difficult. CdS has a peculiar business model by virtue of which, CdS has been able to distinguish itself from traditional circuses and create a blue ocean – a market of its own. CdS has been able to maintain the blue ocean with the help of innovation and creativity, diverse and talented performers (Appendix 2) and its ability to capitalize on the new and emerging international markets and trends. CdS performs various kinds of shows. It has touring shows – the so called big tops which operate at various locations around the world. There are also arena shows which are also international but are fixed at the same location (Arena) for a period of time. Then, there are resident shows (operated in Partnership) that operate at a particular resort for a considerable period of time. The resort/location responsibility is of the partner. Touring shows are the legacy shows for Cirque du Soleil and have been a source of growth as well. Touring shows take place at various locations around the world with a tour lasting for a particular period of time in a city. Regarding costing structure, if CdS acts alone touring shows are costly as much as 50 M in costs, Arena shows are also about the same but the resident shows cost around 15-18 M in costs as a large portion of the expenses are borne by partner. The problem with the resident shows is that the partners who can invest in infrastructure are hard to find. There are three revenue collection/partnership methods(Appendix 3) for touring and arena shows: Cirque act alone – CdS pays for all the expenses on its own and all the revenue goes to CdS, Fixed price model – the event promoter pays all the expenses of the location, logistics and marketing, CdS only invest in creative content creation (about 15 M), Rock and Roll model – Cost borne by each party is deducted from the gross revenue and profit is divided as per a pre-determined criteria plus a typical 10 percent of the box office sales goes to royalty to the artists. Fixed Price model is least risky. Ministry of Culture and Tourism of Turkey is interested in a model wherein they will provide the location of Cirque’s choice but CdS would have to act alone in terms of expenses. Turkish Television and Entertainment Society has indicated that there is no constraint on the revenue sharing model– either fixed price or Rock and roll model whereas the Ministry of Culture and Tourism is interested in only CdS act alone model. Key drivers: The performance arts industry depends on demand, the number and size of performances performed. 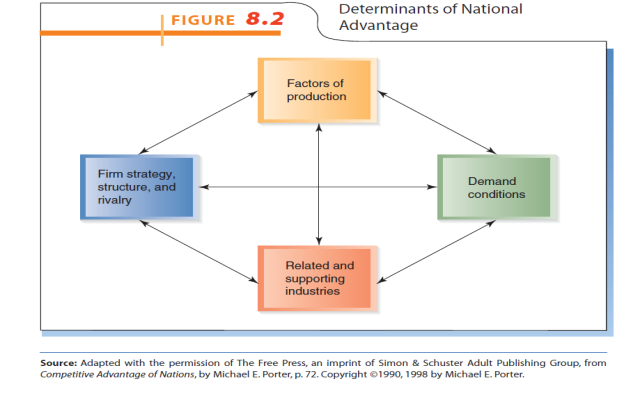 Demand is dependent on the number of consumers, which further depends on the disposable household income, the economy as a whole and available leisure time (Performers & Creative Artists in the US, 2013). Per Capita Disposable Income: Per capita disposable income is the major driver for performing arts industry. This income accounts for the in hand salary of people after the taxes. Since, this is an analysis of an international business situation disposable income is better dimension to take into account as compared to income before taxes because taxation policies in different countries are different. As the per capita disposable income increases, the likeliness of people to spend on the live entertainment shows also increases. Increasing Alternative Entertainment Options: Increasing alternative entertainment options such as music, theaters, concerts actual decreases the demand for the performing arts industry. This could be the case when the government is supporting these options or when there is significant increase in availability and a decrease in price of alternative entertainment options. Government Spending/Spur: When the government support to the alternative entertainment mediums increases and the growth for the performance arts industry actually decreases. The support could be in the form of investment, funding or creating supportive policies to curb the competing industry (Performing arts) and creating policies to spur alternative entertainment mediums. For Cirque du Soleil, this can be related to creating strict censorship policies or encouraging local cultural industry. Time spent on Leisure activities: As performing arts shows have a scheduled timings, hence there is a significant time investment as well from the customer’s perspective. An increase in the time spent on leisure activities could also lead to greater demand for performing arts industry. For CdS, leisure time availability can be analyzed in terms of number of tourists to a particular location on a leisure trip. Tourists are particularly more likely to spend time on entertainment/leisure sources. Factors of production: These factors include inputs necessary to maintain the competitive advantage and compete at a particular location. The essence of CdS is maintained in its ability to innovate and create astonishing live performing arts shows. Thus, CdS is highly dependent on specialized labor and equipment which contribute to its competitive advantage. The specialized labor and equipment is hard to find in international locations but over the years of performing touring shows all over the world, CdS has been able to develop capabilities to capitalize on logistics2 and technology. The logistics would help to remove the constraint of labor and equipment availability and a partnership from a local organization (as per the proposal) would further help to mitigate the risk of non/low availability of production inputs. The ability to capitalize technology3 (Online billing systems) would make the billing and revenue collection easier for CdS. Thus, factors of production would not be a concern for CdS. Demand Considerations: This factors includes consumer needs, market size, target segments, cost profitability analysis and industry success factors. As discussed in the Industry Analysis section, the demand is dependent on the market size, leisure time availability, and high disposable income which further depends on employment and economy as a whole. The GDP of Turkey is on a rising trend after the 2008 crisis. In 2009 Turkey had a per capita GDP of 7730.38 in US dollars which was comparatively better than some of the latest successfully toured locations such as China-24028 USD (2008) and Brazil-51219 USD (2008). In 2009, the average core inflation rate in Turkey was about 5.6510 percent signifying that the economy was doing great. The unemployment rate was quite low and in 2011 average monthly disposable income was around 80011 US dollars better off than a majority of the toured destinations of CdS. On top of that, the average income was even higher in Istanbul (Planned show location). We can assume that the average disposable income was approximately the same in 2009 as the GDP was quite constant. Moreover, according to global competiveness index report of 2009, Turkey is transitioning from an efficiency driven economy to innovation driven economy which implies that government is enabling market investments and ensuring smooth flow of goods and services. Speaking about the leisure time availability, in 2007 according to the Turkish ministry of Culture and Tourism 56.3 percent of the tourists came to Turkey came on a leisure trip. This adds to the demand as generated by the availability of leisure time. Further to add to this, the average expenditure per visitor in Turkey in the year 2008 was about 708 USD and average expenditure per citizen was about 1132 USD which further substantiates the demand factor. Related and Supported Industries: According to this factor the growth of supporting industries help to provide input demand for an industry. Tourism is a related and supportive industry taken into consideration. 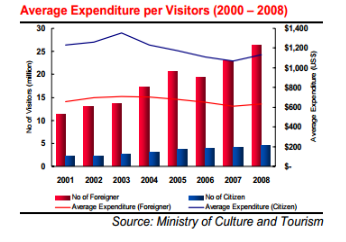 The tourist’s expenditure in Turkey was around 5531.512 Mil USD in 2011 and there was slight increase from 2009 to 2011. The average hotel occupancy in 2009 were around 6512 percent. Turkey is a major tourist destination. According to global competiveness index 2009, Turkey has a domestic market size score rank of 15 and foreign market size score rank of 25 out of 133(world). 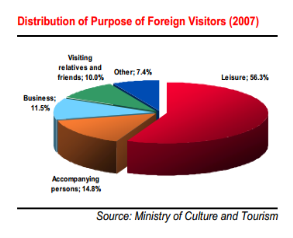 In 2009, the tourism contributed 9.1 percent to the GDP. The upsurge in tourism gives way to the demand for Cirque du Soleil as well. Firm structure, Strategy and Rivalry: CdS have performed majority of its shows through a partnership. This helps to keep the company private as otherwise it is difficult to raise capital for international shows. A partnership is essential in sharing cost of the show and help to mitigate the risk of losses. Since, there is already a proposal from potential partners in Turkey, partnership would be best way to invest in Turkey. CdS can leverage its partnership to get essential monetary and real estate support for planning a location for its show and also get local expertise to plan the show content thereby avoiding any censorship issues – Turkey being an Islamic country. The marketing and local governmental issues can also be kept at bay with a partner being involved. Moreover, this helps business expansion at the same time remaining private. This further ties back to their strategy to remain private in order to preserve their competitive advantage of creativity. In terms of competition, the level of operations at which Cirque operates, the barriers to entry are high. The major managerial recommendation would be to enter Turkey through a partnership. Turkish Television and Entertainment (TTE) Society is the largest media group in Turkey and has extensive experience in organizing events. Moreover, there are less restrictions on CdS in terms of creative control and business model as expressed by the proposal. According to the above analysis, TTE sounds a better strategic fit. 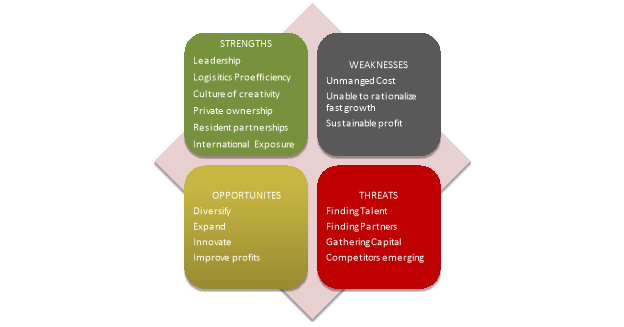 Artists and performers are core strength but with competition emerging and scale of operations increasing at large scale, retentively would be an issue. Still Cirque is a brand that most performers want to be associated with. "Cirque du Soleil; The Turkey Affair." UKEssays.com. 11 2018. All Answers Ltd. 04 2019 <https://www.ukessays.com/essays/business/cirque-du-soleil-the-turkey-affair.php?vref=1>. "Cirque du Soleil; The Turkey Affair." All Answers Ltd. ukessays.com, November 2018. Web. 20 April 2019. <https://www.ukessays.com/essays/business/cirque-du-soleil-the-turkey-affair.php?vref=1>. UKEssays. November 2018. Cirque du Soleil; The Turkey Affair. [online]. Available from: https://www.ukessays.com/essays/business/cirque-du-soleil-the-turkey-affair.php?vref=1 [Accessed 20 April 2019]. UKEssays. Cirque du Soleil; The Turkey Affair [Internet]. November 2018. [Accessed 20 April 2019]; Available from: https://www.ukessays.com/essays/business/cirque-du-soleil-the-turkey-affair.php?vref=1.